There were many writers other than John Jay, James Madison, and Alexander Hamilton who, in 1787 and 1788, argued for the Constitution’s ratification. 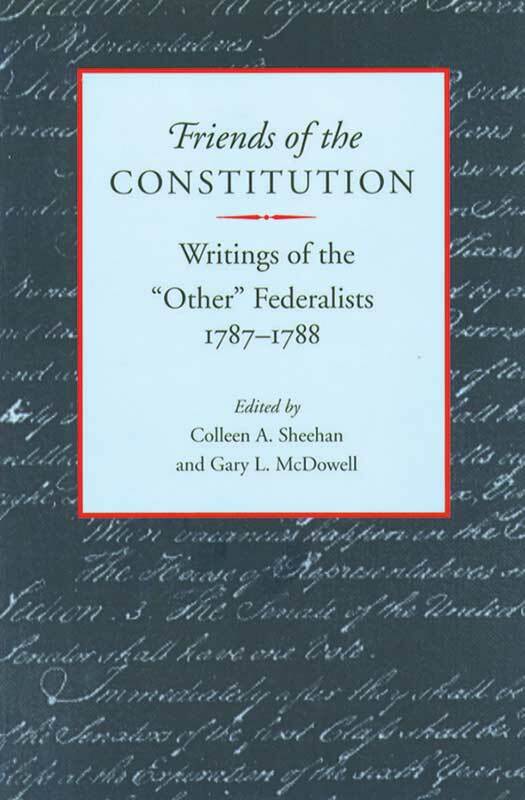 In a collection central to our understanding of the American founding, Friends of the Constitution brings together forty-nine of the most important of these “other” Federalists’ writings. Colleen A. Sheehan is Professor of Political Science at Villanova University. Preface, editors' note, introductions to each of the three sections, index.